Know who you are and then do it deliberately, advises Greg Bechly. At the heart of fundraising there is a great conflict. It’s the conflict between fundraising and brand. We’ve all seen it, and too often experienced it, with a large degree of frustration. As a fundraiser you need to use specific serif fonts, images of real people and techniques that graphic designers don’t want to use because – quite simply – they think it looks “ugly”. Brand managers and marketers, the custodians of the brand, want things to look clean, crisp and positive. They often develop guidelines that require images of people smiling, outcomes presented as positive, and language that is hopeful so that readers feel confident that inroads are being made and new developments are just on the horizon. As a fundraiser, you know this approach won’t necessarily work. 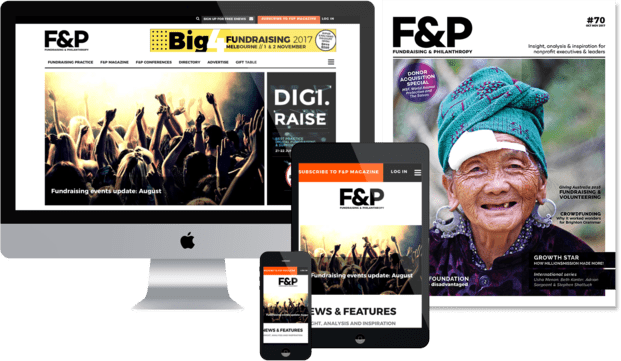 Considering fundraising is the bedrock from which your organisation is able to deliver on its mission, and brand is the way the world views the organisation – and more often than not how people connect with it – this is a conflict that needs to be resolved. Both serve important, valuable roles and they need to align if your organisation is to succeed. If it’s not resolved, you’ll continue to spend valuable resources going around in circles, all the while missing opportunities to harness better outcomes for your beneficiaries. The solution is to create a ‘fundraising brand’. This is a brand that borrows from the master brand but includes all the elements that you as the fundraiser need. But how do you get started on developing your fundraising brand? Let’s look at a quote from the inimitable Dolly Parton: “Find out who you are and do it on purpose.” It’s the simplest and most uncomplicated definition of brand I’ve heard: Know who you are. Then do it deliberately. I love this reasoning. You can literally picture Dolly Parton, big hair, make-up, long nails and wholesome country music. She knows who she is. Then she does it deliberately. So your question is: how do you figure out who you are as an organisation? Or more to the point: how do you know who your brand is? The following are the building blocks we use when embarking on a project to uncover the fundraising brand. Remember, brand is about knowing who. You’ll already be doing this. It’ll be part of your DNA. But among all the messages you want to communicate and the layers that have built up over time, you may be hiding it, or it may remain untapped. Your first job is to uncover it! Look at your mission statement and highlight the main parts that are unique to your organisation. Edit out all the whimsical words that are covering up or adding caveats to your mission. Once these are removed you’ll find you have a unique statement that goes to the heart of why your organisation exists. Most times it’s useful to express the mission statement in a way that an everyday outsider would express it. and honesty. They are all incredibly important, but they are also things the average Australian would expect your organisation to already be doing. I’m confident that after eliminating generic values, you’ll be left with a shorter list of values that are unique and specific to your organisation. rewrite them in plain English. Imagine you are explaining your values to someone who has no idea what you do for work. That means drop the business double speak, acronyms and jargon. They will mean absolutely nothing to people who do not work in the sector. Remember, the goal is to connect with people just as you would in everyday life. For example, rather than “Fostering collaboration between multi-disciplinary teams to facilitate better outcomes, how about “Together, we will find a cure”. This will scare some people, but it is part of the process. After all, if you aren’t trying to find a cure or feed more homeless or end poverty, then who in the hell is? Be a little brave, be a little bold. Market research is often overlooked, or is simply not done properly. Look at what other brands inside and, just as importantly, outside the sector are doing. What do you think are their strengths? What do they do that you would avoid? You may hate a logo, but like the tagline. You may like the use of big imagery, but not its style. You may like the way an organisation expresses itself linguistically. Going through this exercise will give you an idea of the common ground within your organisation and, importantly, where the differences lie. You need to be patient. Ask people why they like or dislike certain things. Often their reasons will be different to what you assume – and once you scratch the surface you may be surprised to find more common ground than you first envisaged. Yes, that’s right! Call and talk to your cash donors, regular givers, your volunteers, people who stopped supporting you, people who love you, people who don’t. Set a goal to talk to at least 15 people to get a real sense of your organisation and how its perceived in the wider world. Ask them how they feel about your organisation. What they like about it, what they don’t, why they got involved, their own personal values and so on. These should be in-depth conversations taking between 30 minutes to an hour so that you have the time to truly understand what your supporters are thinking about your organisation and the world they live in. Remember, the aim of this process is making a better human connection to your organisation. Look for common threads in the conversations to unearth what your shared values may be. If you start to pick up a trend in people’s responses, explore that trend more deeply as the interviews go on. Now you thankfully know who you are, do it deliberately. And keep on doing it. Day after day, year after year. Just like Dolly. And remember – a rebrand isn’t a logo update. It’s not about your colours. It’s about defining who you are, so that you can clearly and deliberately communicate this to the wider world and make a genuine connection with your supporters. Greg is Co-Founder and Managing Director of March One, an agency that uses its Human-Centred™ approach to create fundraising brands that work. March One has raised more than $83 million for some of Australia’s most trusted not-for-profit organisations over the last three years. Next ArticleAre you segmenting your supporters?